Nuclear Waste vs. Coal Waste.... which is worse? 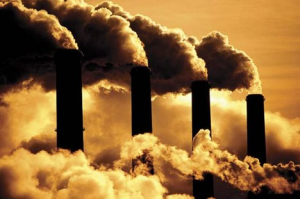 Most folks probably think coal waste is worse since we use so much of it compared to nuclear, it blows into the air we breathe, coal ash gets in the water we drink, and coal is generally seen as "dirty". And they're right, coal is a dirty business no matter how you look at it. But did you realize that coal waste has more radiation than nuclear waste does? Well, this article from Scientific American claims it to be so, and they seem to have the science to back it up. "Among the surprising conclusions: the waste produced by coal plants is actually more radioactive than that generated by their nuclear counterparts. In fact, the fly ash emitted by a power plant—a by-product from burning coal for electricity—carries into the surrounding environment 100 times more radiation than a nuclear power plant producing the same amount of energy." Is it odd that the radiation around us is more likely to be from coal plants, than from all of the nuclear bomb tests and nuclear accidents over the years? This makes nuclear look even better, no? Ounce-for-ounce, nuclear waste does have more radiation, but it is contained, while we just let the coal fires burn and spread radiation about the air and into "fly ash". I'm not saying nuclear is completely safe, but is it safer for us and the planet than coal? I'd have to say yes, and I'd have to say that we need to start building more nuclear plants now, because that's the cleanest & best way we have to make lots of energy for now. 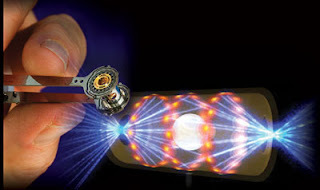 "Livermore researchers are exploring the idea of a fusion-based system known as Laser Inertial Fusion Energy, or LIFE. LIFE builds on technology developed for the National Ignition Facility (NIF) and promises safe, carbon-free, and sustainable energy. LIFE offers many compelling advantages, either as a pure fusion energy source or as one that combines the best aspects of fusion and fission energy systems."